“Pies and Tarts” is a Sue Daley design, and this version was made by Lisa. The pies and tarts are made by hand using English Paper Piecing techniques and then appliquéd to the background. A huge amount of time and work went into this amazing quilt. Lisa asked for “custom quilting light”, and this was the only guideline she gave me. This is a popular pattern and I looked around the web for inspiration but couldn’t find anything that I liked for Lisa’s quilt. I started doodling and came up with the designs for the pie and tart elements quickly. The background was a little more difficult, I thought about it for quite a while and then decided that once agan less was more and went with simple curves. “Pies and Tarts” ist ein Design von Sue Daley, und das hier ist Lisas Version. 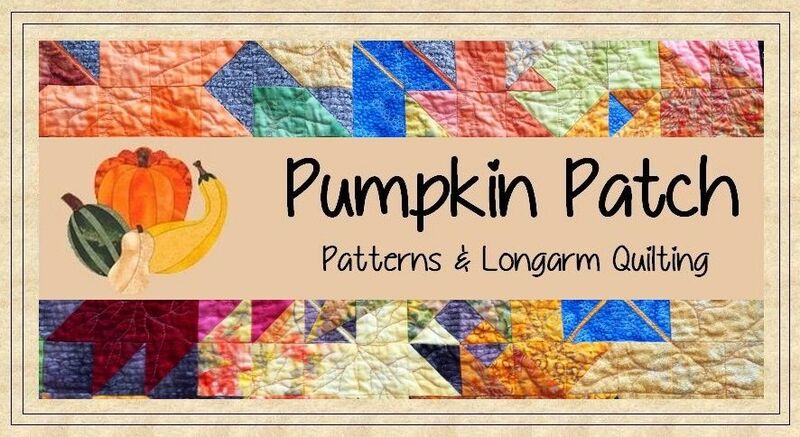 Die Pies und Tarts werden mittels English Paper Piecing mit der Hand genäht und dann auf den Hintergrundstoff appliziert. Lisa hat eine Menge Zeit und Arbeit in dieses Top investiert. Sie hatte keine genaue Vorstellung, wie sie es gequiltet haben wollte. “Custom Quilting Light” war die einzige Vorgabe. Dieses Muster ist sehr beliebt, also habe ich zuerst online nach Inspiration gesucht, aber ich konnte nichts finden, das mir für Lisas Quilt gefallen hätte. Also habe ich dann doch selbst gezeichnet und bin auch ziemlich schnell auf die Muster für die Pie- und Tart-Elemente gekommen. Der Hintergrund war ein bisschen schwieriger, da habe ich eine ganze Weile gegrübelt und dann beschlossen, dass hier weniger mal wieder mehr ist und einfache Kurven ausreichen. Thank you, Jeannie, I am glad you like my work. Thanks for stopping by and taking the time to comment. Oh my the work that went into this. Love it! The quilting is just perfect for it to! A job very well done! Thank you, Dolores. Yes, it was definitely a labour of love to put together all those small pieces.